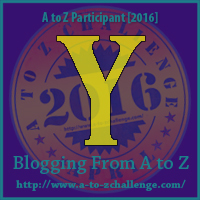 Welcome to today’s post for the A to Z Blogging Challenge. 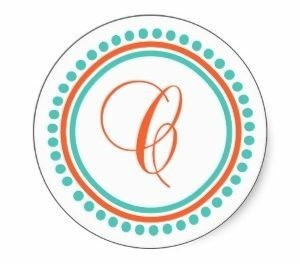 For each day, I’ll be sharing the opening paragraphs to a book that starts with that letter and is sitting on my shelves or my Kindle. Jonah was dead for a brief time before the paramedics brought him back to life. He never talks about it, but it's on his mind sometimes, and he finds himself thinking that maybe it's the central fact of the rest of his life, maybe it's what set his future into motion. HE thinks of the fat cuckoo clock in his grandfather's living room, the hollow thump of weights and the dissonant guitar thrum of springs as the little door opened and the bird popped out; he thinks of his own hear, which was stopped when they got to him and then suddenly lurched forward, no one knew why, it just started again right around the time they were preparing to pronounce him deceased. This was late March 1977, in South Dakota, a few days after his sixth birthday . If his memory were a movie, the camera would begin high in the air. In a movie, he think, you would see his grandfather's little house from above, you would see the yellow school bus coming to a stop at the edge of the long gravel road. Jonah had been to school that day. He had learned something, perhaps several things, and he rode home in a school bus. There were papers in his canvas knapsack, handwriting and addition and subtraction tables that the teacher had graded neatly with red ink, and a picture of an Easter egg that he'd colored for his mother. He sat on a green vinyl seat near the front of the bus and didn't even notice that the bus had stopped because he was deeply interested in a hole that someone had cut in the seat with a pocketknife; he was peering into it, into the guts of the seat, which were made of metal springs and stiff white hay. So, what do you think? Should I read it soon or give it away?